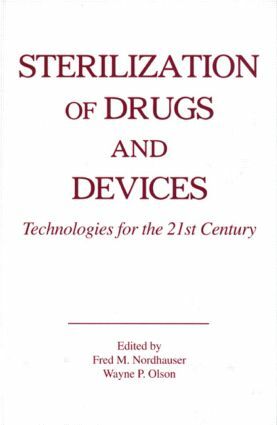 Editors Fred M. Nordhauser and Wayne P. Olson have gathered a team of 18 experts from multi-national and leading edge companies to explore the advantages and disadvantages of current sterilization technologies. They cover the theory behind the technology, the practical concerns of installation from engineering and product development perspectives, the "how to validate" concern, and the pragmatics of implementation in a manner that will satisfy the regulatory agencies. The broad range of in-depth information on numerous technologies will help readers design sterile manufacturing processes cost effectively and efficiently.